You will enjoy a heart and body warming day of winter practice in semi-silence with a like-minded soul group. 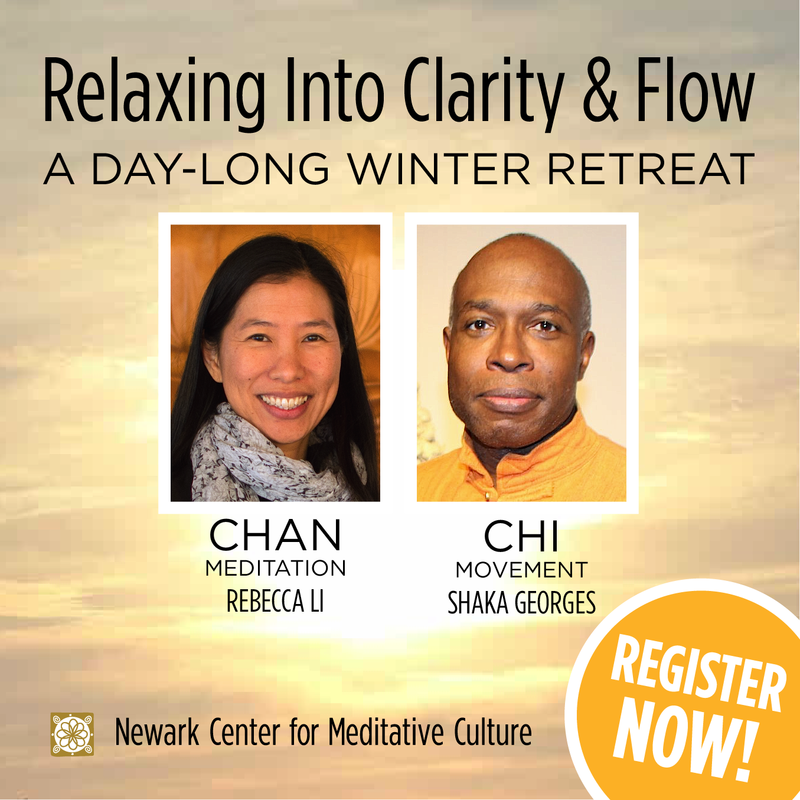 Your retreat will include relaxing into clarity through meditation (chan) with Rebecca, flowing with healing movement (chi-gong) with Shaka, a creative Art of Seeing workshop, Truth Talks, and engaging dialogue. Also included are healthy breakfast treats from during check-in and a delicious vegetarian lunch. See Teachers Bio-notes. *You must request to volunteer BEFORE registering. Contact the retreat coordinator (email below). You can discuss the volunteer opportunities then. Retreat Coordinator, Jennifer Becher, jennifer@newarkmeditation.org. This entry was posted in Art as Meditation, Breath Meditation, Buddhism, Chan Meditation, Dao, Day-long Retreats, Dhamma, Dharma, Meditation, Metta, mindfulness, Qi-Gong, Tai-Chi, Tao, Walking Meditation and tagged #meditation, Buddhism, chan, chan meditation, chi-gong, Dao, Dharma, mindfulness, qi-gong. Bookmark the permalink.